Item # 266088 Stash Points: 9,499 (?) This is the number of points you get in The Zumiez Stash for purchasing this item. Stash points are redeemable for exclusive rewards only available to Zumiez Stash members. To redeem your points check out the rewards catalog on thestash.zumiez.com. 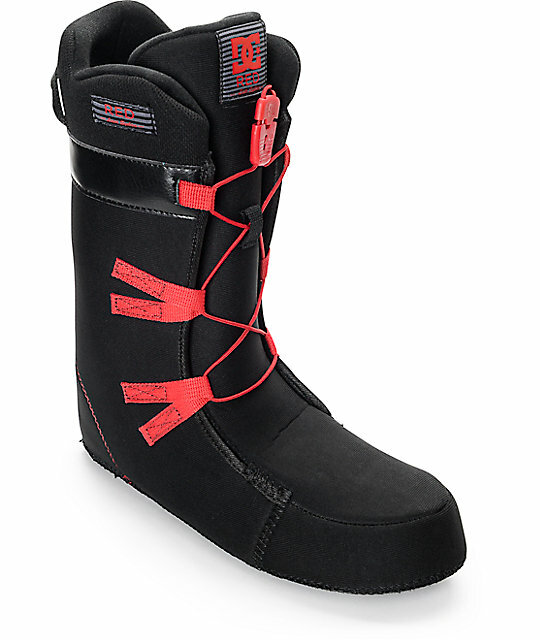 Embodied with DC's Boa H3 Coiler Closure System with a reel for easy adjustment, the Boa Black Snowboard Boots from DC are a great example of innovation meeting classic styling. 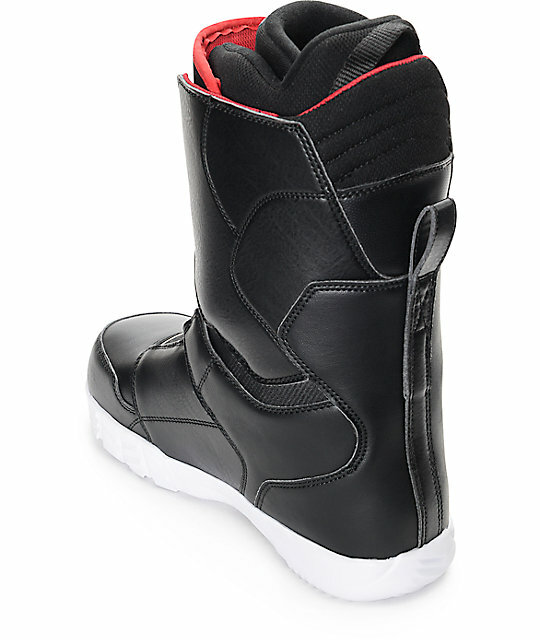 Along with DC's Red Liner technology, the boots are also equipped with a New Foundation Unilite outsole for reduced weight without compromising comfort. 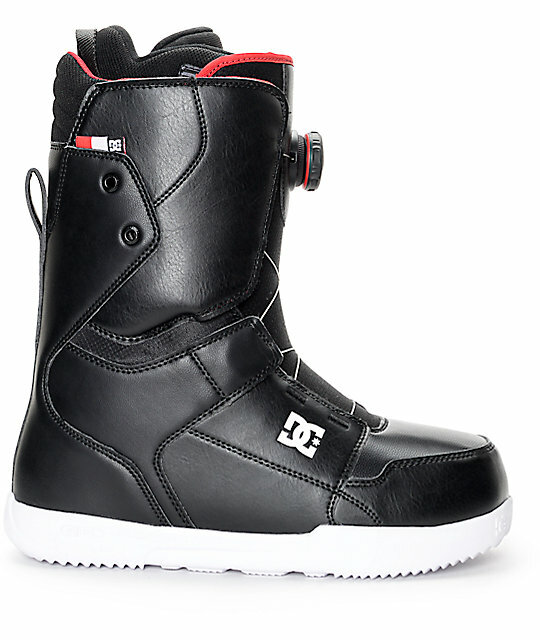 2017 Boa Black Snowboard Boots by DC. BOA H3 Coiler Closure System with reel and zonal closure. The Red Liner for technical moisture and temperature management. Multi-density heat moldable EVA memory foam. New Foundation Unilite outsole for reduced weight. Sale Snow items may be shop worn or have minor blemishes, scratches, or missing hardware or may be customer returns, discontinued inventory, not include original packaging or not be in its originally manufactured condition. 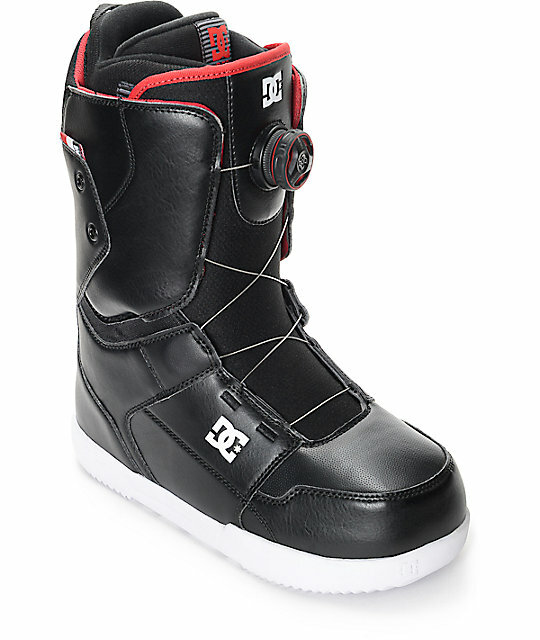 In some instances, these items are repackaged by Zumiez. If you are unhappy with anything you've received feel free to return your item.